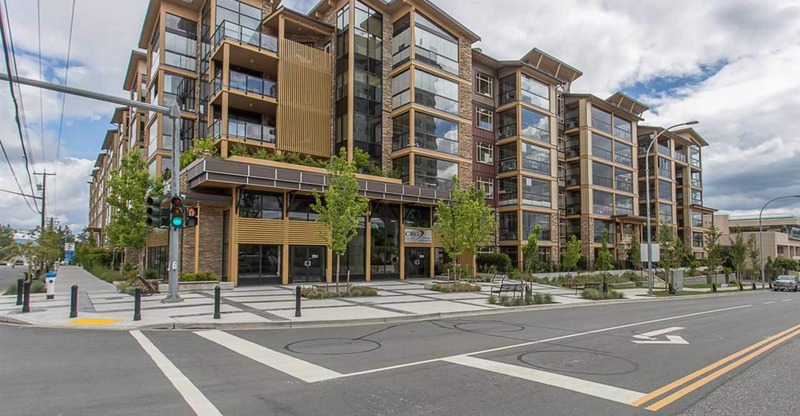 STUNNING three Bedroom plus den, 2-storey townhome at Cedar Park Plaza. MOVE IN READY! Walking distance to just about everything! Mere mins to hwy 1. Suite 218 boast an open floorplan in crisp light colours. Gourmet tiled kitchen: quartz countertops, undermount big dbl sink, garburetor, 4 Stainless Steel appliances & an artsy window, large laundry/storage room on main, powder room on main floor, laminate flooring, 2" blinds & door to south-facing deck. Large Master with walk-in closet & 3-pc ensuite. 2 more bedrooms, a den (with its own balcony) and a full bathroom up. No smoking and sorry no pets.